And just like that, as summer closed and fall arrived quietly in the Sierra Nevadas, we thought we'd have lots of time before the holidays arrived. But the craze of Halloween quickly gave way to Thanksgiving just around the bend! If you're like us, you're definitely thinking about holiday shopping for your loved ones. We’re gearing up for another wonderful season of light and giving in our local Truckee community, and we’ve got just the thing for all your ladies visiting next week! 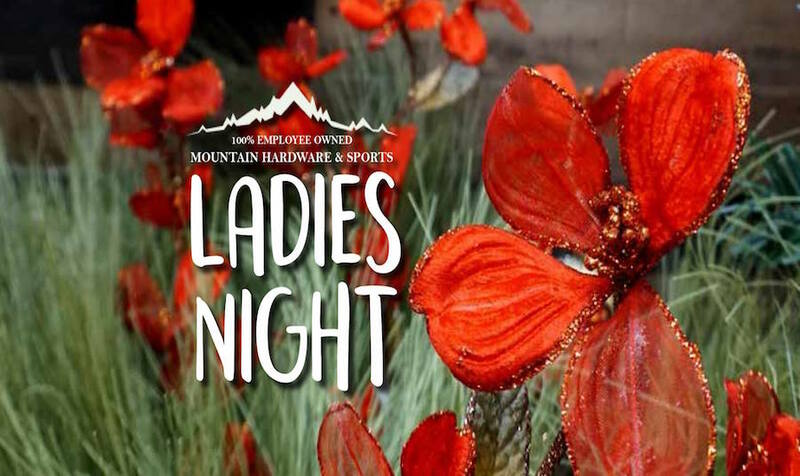 Grab your gal pals and come on down to the 10th Annual Ladies Night at Mountain Hardware and Sports in Truckee on November 22 at 6PM. This popular event features appetizers, drinks, and the chance to save on all your purchases made at the event: 20% off merchandise and 10% off power tools. There’s a $250 raffle prize, and each guest receives a raffle ticket at entry. If you bring a non-perishable food item you’ll receive another raffle ticket! What a great way to give back to the community while shopping for loved ones. Lastly, the first 100 people receive a special gift so get there on time!